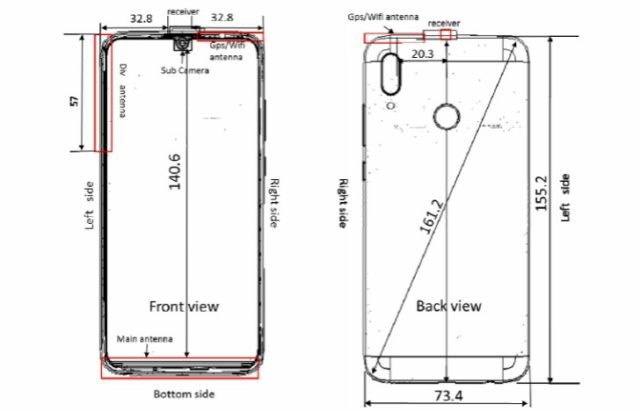 Huawei is currently applying for FCC certification papers for one of its newest models called the Huawei P Smart 2019. This is to be an evolution of the existing P Smart unit and features a 3,320mAh battery capacity, 3GB of RAM and two storage variants. The Huawei P Smart 2019 is named POT-LX3 for now as it undergoes certification, and is poised for at least 4 versions that vary in number of SIMs and internal storage. Other details from the papers also include a possible dual rear camera, rear-mounted fingerprint sensor and a water drop notch. It will also have a 6.3-inch display and is expected to be powered by a Kirin 710 chipset.